Perception System – A unique PAT tool that enables 100% product inspection in pharmaceutical processes. The Perception System supports various hyperspectral cameras at highest scan rates and, as first of its kind, is machine vision compliant. Simplified integration into machinery for off-line, at-line and in-line purposes is secured. In today’s drug production, quality assurance is one of the most important challenges. All the more surprising that in typical industrial processes only one pill out of thousands is checked. By implementing a Perception System (together with a hyperspectral camera), every single pill can be inspected inline in the production process. By this, the concentration as well as the distribution of an API (Active Pharmaceutical Ingredient) in the pill is monitored in industrial real-time. 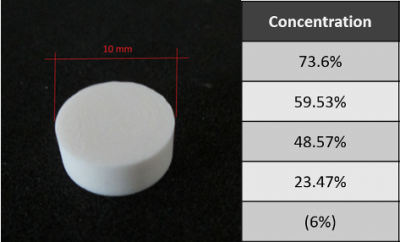 In the example below, pills with different concentrations of Ibuprofen were prepared, process parameters calibrated and predicted on new samples. The samples were measured in reflectance with an NIR hyperspectral imaging system from the German manufacturer Inno-Spec. 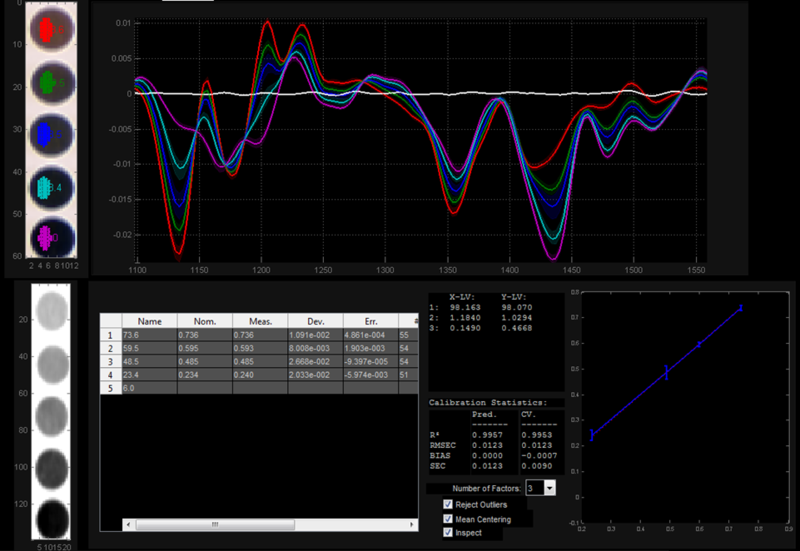 The Perception System applies the calibration model in real-time for industrial in-line processing. 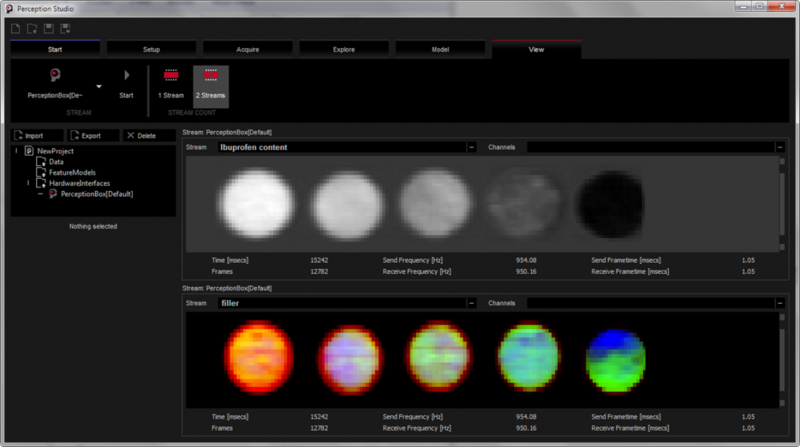 Additionally more models can be applied in parallel to get a deeper insight into hyperspectral data. Such models might consider qualitative properties but also quantitative measurements like moisture. In the example above, two models were applied. While the upper processing stream visualizes the Ibuprofen concentration, the second stream shows information about the distribution of the filler substances. Follow-up projects will target further API’s. The example below shows a good resolved image of an Aspirin pill. Based on this image the concentration and distribution of the API can be investigated. By introducing the well-established Perception System to the field of drug production, Perception Park for the first time showed the feasibility of 100% real-time inspection of pills. A new project of Perception Park focuses on the chemical identification of pills through the closed blister. 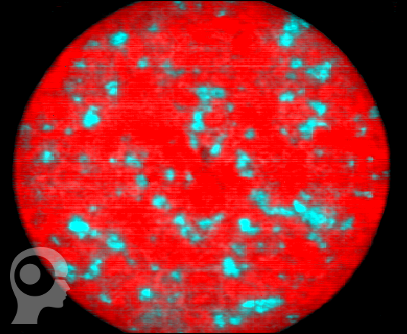 The Chemical Color Image above shows three different drugs – Blue: Lercanidipin; Green: Eplerenon; Red: Roxithromycin. By this, the product can be checked for completeness or for wrong inserted pills. Using high resolved cameras it will become possible also to detect cracks or defects on the pills through the blister.